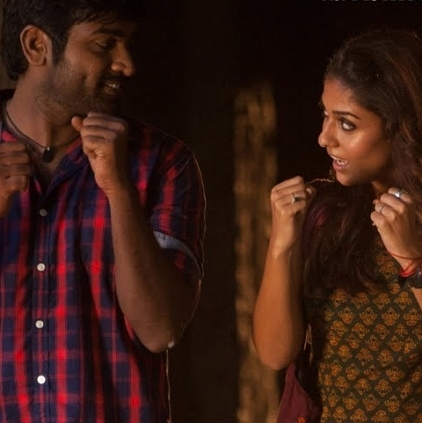 As reported earlier, Naanum Rowdy Dhaan (NRD) was released on Tuesday, the 20th in the USA by PRIME media. This Vijay Sethupathi starrer has been declared a strong hit in USA and has seen a first week gross of $200K. This is the highest collection for a Vijay Sethupathi film in USA. It is being compared to OK Kanmani's success in USA, earlier this year. NRD is a film that you can just relax, sit back and enjoy and come out with a smile on your face. PRIME Media has widely released the movie in USA for Vijayadasami and has increased the 2nd week screen count to 50+ locations. Will Vedalam and Thoongavanam be the 4th ? Vijay Sethupathi's Orange Mittai To Be Released By PRIME Media In The USA. People looking for online information on Naanum Rowdy Dhaan, Prime Media will find this news story useful.